Discover the Diabetic Care Path Program at Kyffin Grove – We welcome diabetic residents and have a special program to help them successful manage their condition. We take a collaborative approach to Diabetes care. Our specially-trained care team partners with the resident, their family, and a multidisciplinary healthcare team. Education and consistent monitoring are key elements of our program. Fill out the contact form and we'll be in touch with more information about our Diabetic Care Path Program. The Centers for Disease Control and Prevention estimates that some 29 million Americans are living with diabetes and that 25 percent of those individuals are unaware that they have this condition. What’s more shocking is that an estimated 86 million adults are currently living with prediabetes, a condition classified by higher than normal blood sugar levels. Diabetes presents special challenges — particularly for seniors — but when managed carefully, its negative impact can be mitigated. Here are seven tips for living with diabetes. 1. Work Closely With Your Doctor – If you are experiencing symptoms of diabetes or suspect you may have this condition, it’s important that you see your doctor. Your physician will likely advise certain lifestyle changes such as regular exercise and dietary restrictions, and he or she may also prescribe medications to help lower your blood sugar. As with any medical visit, be sure to prepare a list of any questions beforehand regarding the symptoms you are experiencing, your medications and any particular challenges you may be facing. 2. Monitor Blood Sugar Every Day – Careful monitoring of blood sugar levels is the key to managing diabetes. According to the American Diabetes Association, the general rule is to measure blood sugar in the morning before eating or two hours after eating and aim for a blood glucose level of less than 180 mg/dl. Some experts say you should aim for even lower: 140 mg/dl. Consistency is important. 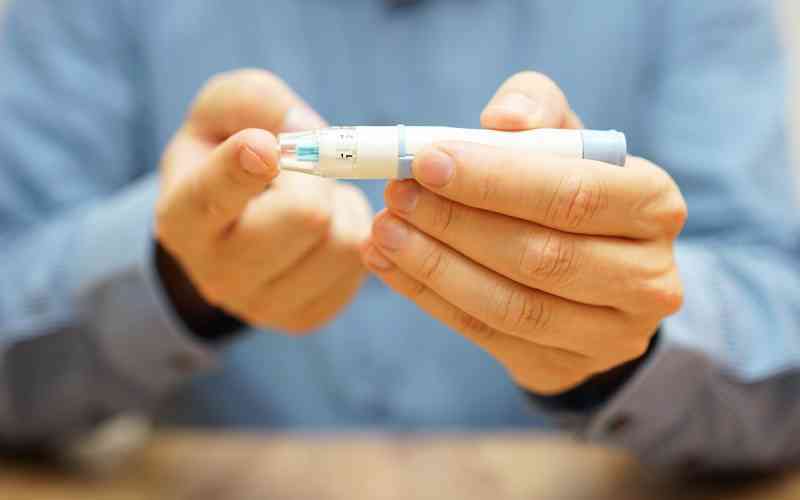 Using a glucometer and communicating that information to your doctor helps to maintain consistent blood sugar levels. 3. Think Protein – Diabetics need to avoid not only excess sugars but excess carbohydrates, too. Carbs convert into sugar in the body and can wreak havoc on blood sugar levels. With each meal, think of how you can add more protein to your diet. Protein can help you feel fuller, which can lessen your cravings for carbohydrates and sugar. Simple choices like switching from cereal to eggs for breakfast can help you manage your blood sugar levels while also feeling satisfied. 4. Always Have Snacks or Glucose Tablets on Hand – Swings in blood sugar can cause dizziness, nausea, fatigue and shaking. As a diabetic, it’s important to understand that blood sugar swings may become a normal part of your life. Even medications that help lower blood sugar can cause you to have blood sugar lows. It’s important to always have a snack containing a small amount of carbs or sugar in your pocket or purse for times when your blood sugar starts to drop. Eating small snacks every two to three hours can prevent or minimize blood sugar swings. 5. Get Moving – Exercise is beneficial for heart health and for lowering stress levels, but it’s also helpful for managing diabetes symptoms as it can significantly lower blood sugar levels. Walking, swimming and even chair fitness classes can help fight insulin resistance and improve nerve function, which is critical for those who are living with diabetes. 6. Get Regular Eye Examinations – Diabetes can affect one’s eyes in a number of ways, but not everyone who has diabetes develops an eye condition. The most serious eye condition related to diabetes is diabetic retinopathy. Early symptoms include floaters, blurriness, dark areas of vision and difficulty perceiving colors. In severe cases, blindness can occur. Mild cases may be treated with careful diabetes management. Advanced cases may require laser treatment or surgery. Early diagnosis is vital. Most sight-threatening diabetic problems can be managed if treatment is carried out early enough. 7. Choose the Right Level of Care – Diabetic seniors can sometimes have trouble finding a personal care community that will accept them as residents. They may, instead, be guided to a much more expensive skilled nursing community. Such communities provide a level of acute care that may be more than is required. And because of the frailty of the average fellow resident, these communities likely offer less engaging socialization and fitness programs for otherwise healthy diabetic seniors. These seniors need more robust fitness programs to help them successfully fight certain symptoms of diabetes such as insulin resistance and poor nerve function.